Our commitment to the Lasso community includes actively polling our most engaged developers (CLDs) to direct our course in development. There has been plenty to do over the last 8 month as we have been putting Humpty Dumpty together again (and still is! ), and your direct feedback has been very helpful. Over the past number of months we have made solid progress in terms of backwards compatibility. There are very few outstanding issues currently listed and these are receiving our full attention. 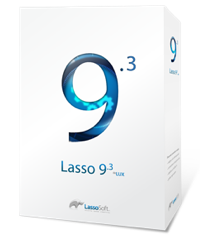 For the most part, any issues identified in the languages of Lasso 8 and Lasso 9 have been met quickly and efficiently - usually within hours or days. 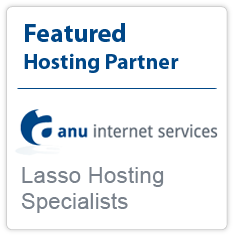 We have reserved special energy to ensure that the product is extraordinarily supported and Lasso 9 gets its due attention. As noted and promised in December (http://www.lassosoft.com/The-Current-Plan), we want all (good) historical Lasso code to survive into the future without being rewritten. To leave good code behind would be a waste of human capital. The 'backwards compatibility' item on the roadmap has been put into development, and the votes for this are now being released back to developers to re-vote on their next priority. As promised, every dollar of input from CLD membership (and actually, all memberships and licences and all revenue generated by LassoSoft in general) has been put directly into development of items on the Roadmap as per voting. Although Lasso is a "commercial" product, the company is standing behind its commitment to the Lasso community, and has been functioning as a not-for-profit along these goals as set by the CLDs. We have been pouring everything and more into progress. This can be best gauged by our release of 8.6 - which is completely a response to community requests and, to date, has not been needed by our key development partner Treefrog Interactive Inc. While not a permanent state of affairs, it is in recognition of the amount of work required to put the momentum back into Lasso products. We are very keen to test this tool on more Lasso 8.5 or 8.6 code which is currently not working on Lasso 9. We have raised this with our CLD's, and we still need more examples of Lasso 8.5/6 code whose original developers have not been able to get working on Lasso 9. As most of Lasso 8.5/6 code we have seen recently works on Lasso 9, we are finding it hard to locate examples to test. Some people have indicated they haven't tried the migration at all - due to commercial or community pressures/concerns - so are unaware what issues may exist in backwards compatibility at this time. Consequently, we are stuck between a rock and a hard place. Our 8.x code works on Lasso 9 - and yet people have the inaccurate assumption that Lasso 9 completely fails to be "backwards compatible". We need the developers of our community to put their code where their mouth is in order to achieve forward momentum as a group. I humbly request, then, for developers who have encountered issues with moving their Lasso 8.5 or 8.6 code to Lasso 9, that you give us a copy or a portion of your code that runs so we can test it and ensure that our tool works effectively. The enigma of why such code does not work on Lasso 9 can and should be solved quickly and efficiently through our new secret mechanism - but we want to aggressively test it before making it available. Note that we are willing to sign an NDA (if necessary) for access to such code and use it only in an explicitly sandboxed environment. In addition - it will help the LassoSoft team better understand real-world examples of how Lasso 8.5, 8.6 and Lasso 9 are actually used - not just how we think it might be used. Any developer who is currently under the belief that their current Lasso 8.5 or 8.6 code does not work under Lasso 9 should strongly consider being helpful and constructive to our greater community in this way. 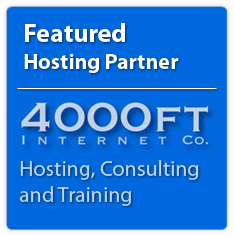 Please contact rachel@lassosoft.com with examples. We are counting on your help to move forward! Please don't be embarrassed about your code (if this is your reason for not considering this request). We are looking for real-world examples of usage, and don't want perfect markup. We need to see the vehicle of Lasso used in off-road situations as well as conservatively driven on new pavement in order to improve our product. Thank you for your patience! We have a long and exciting road ahead, and we have made significant strides forward in a very short period of time. ...just don't break my Lasso 9 code.